Stop back as I expand this section! 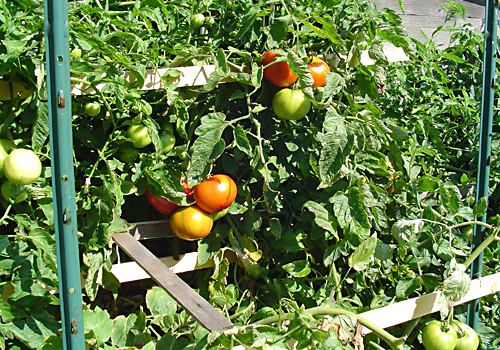 I’m in the process of including a photo gallery of gardening tips for home growers. 2009 bumper crop of garden tomatoes. Note the stake and lathe support method. This year’s crop reached over SEVEN feet until the weight of the fruit crushed the vines. A garden spider is a useful ally. Do not kill them! They will make short work of earwigs, flies and aphids. 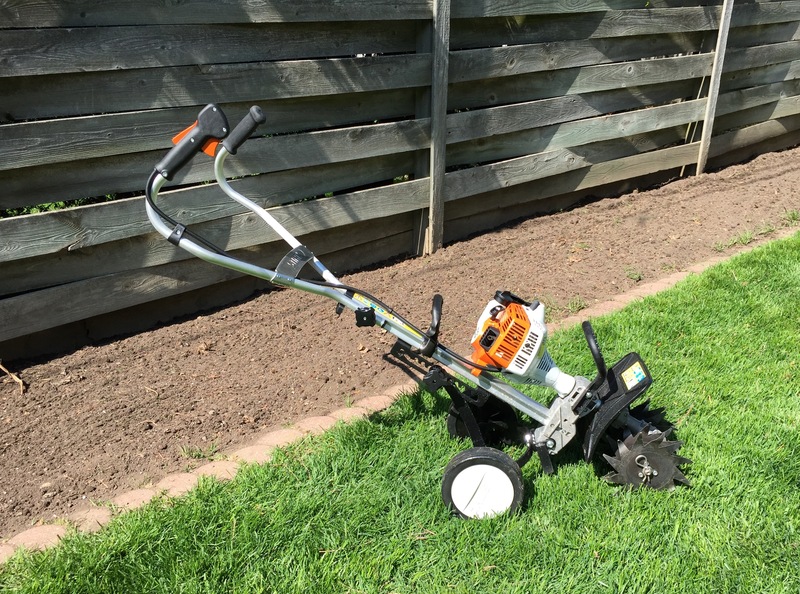 I used to regularily dust my garden with Sevin®. I don’t anymore. My friend Charlotte has taken good care of everything. 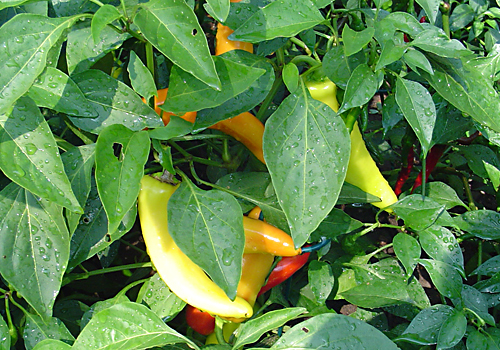 Hungarian Wax Peppers are historically dried and used for Paprika. I grow these every year. Incredible in salsa and on sandwiches. Heat can range from mild to medium-hot. 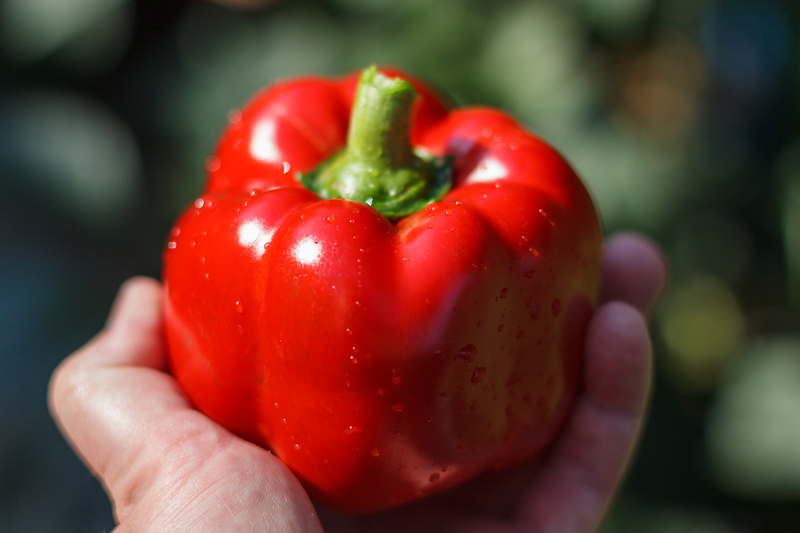 Pick when red to ensure optimum flavor and the highest vitamin C content. 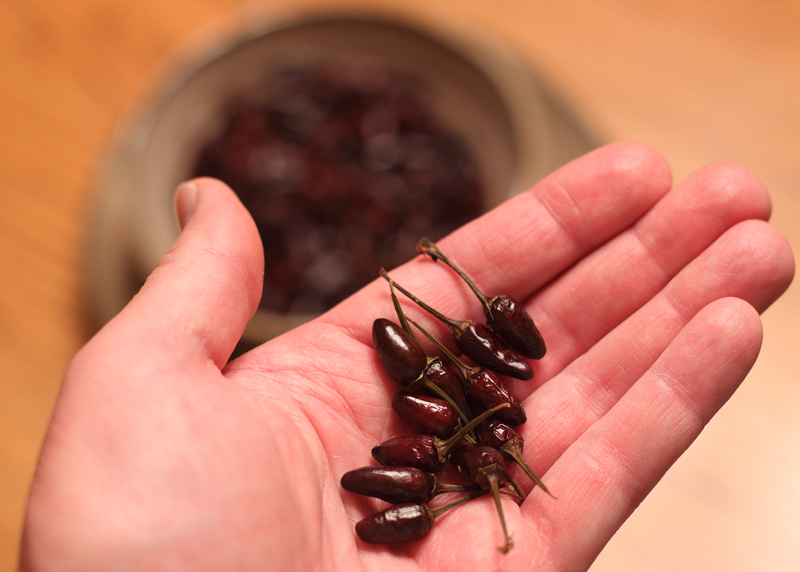 South American bird chilis. 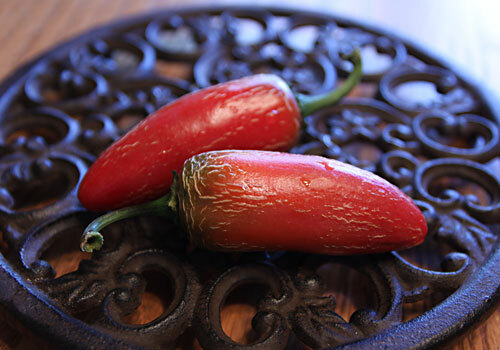 This species goes by many names and is the ancestor of all hot chilis now grown in Southeast Asia. The pods grow profusely — and straight up, allowing birds to easily ingest them and scatter the seeds during migration. 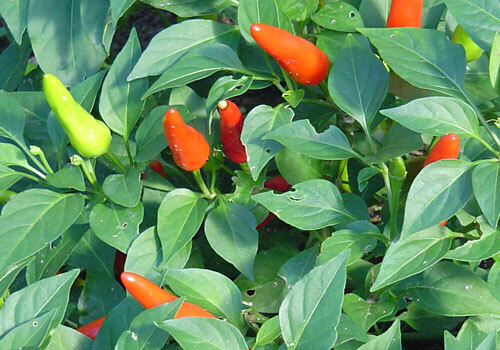 This variety is extremely hot, but interestingly enough, birds are not bothered by the heat. 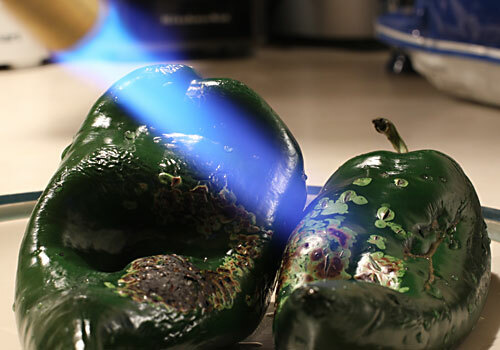 Ripe jalapeño peppers with blistering on the skin. This is a common problem due to temperature and moisture fluctuations. It does not affect the quality of the yield. 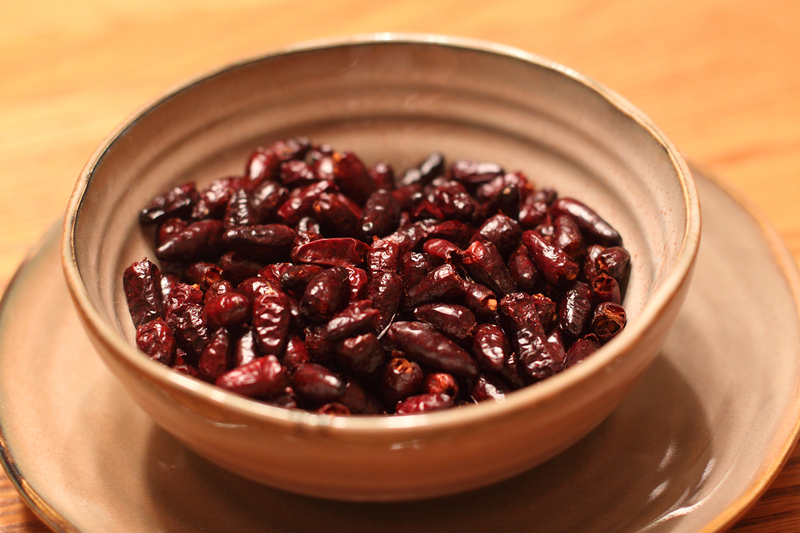 Note that they are ripe red, which are the hottest and used for dried chipotles. 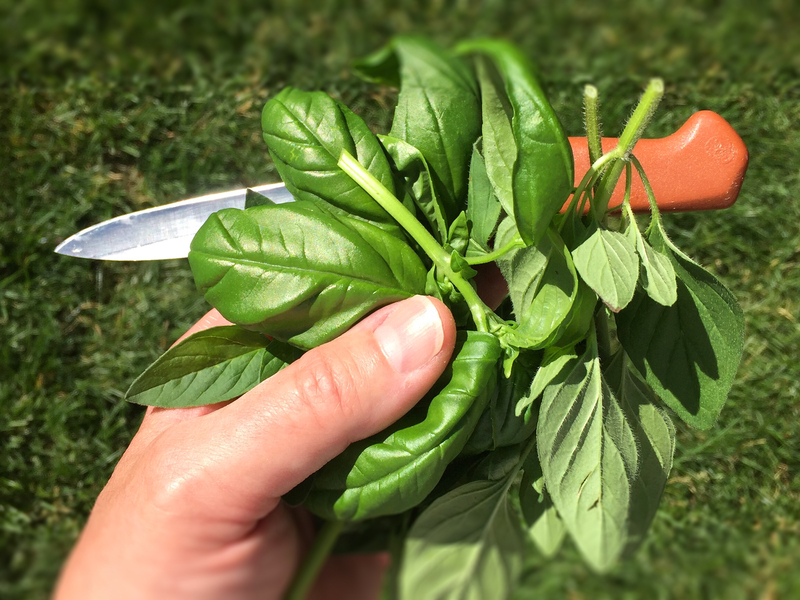 Homegrown basil from my garden. 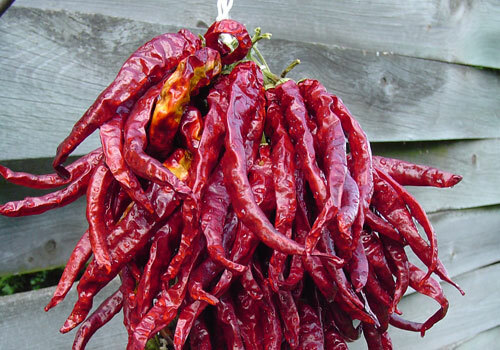 I’ve had the best luck growing them in large pots – they tend to get destroyed by earwigs if left in the garden. 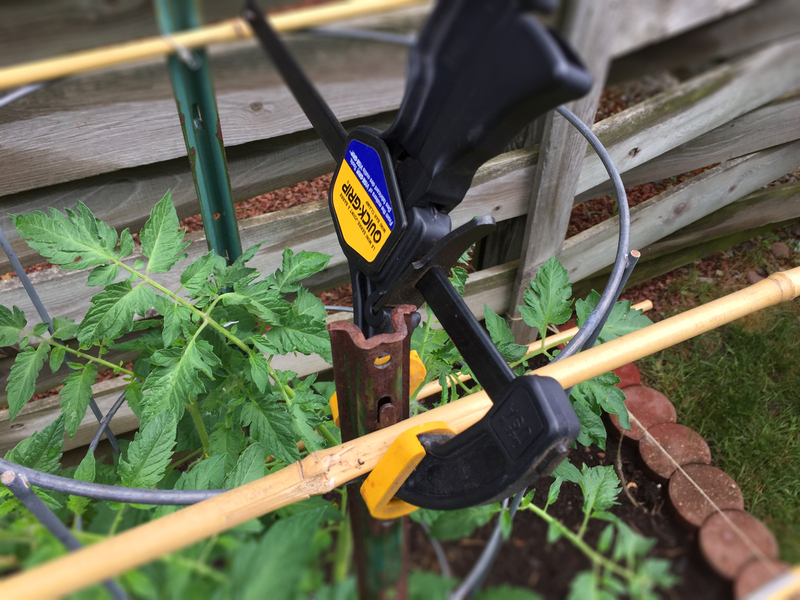 Staking Tomatoes: Using a set of Vise-Grip clamps to help hold the bamboo to the metal fence posts. They will then be wired to the post using 16-gauge galvanized utility wire. 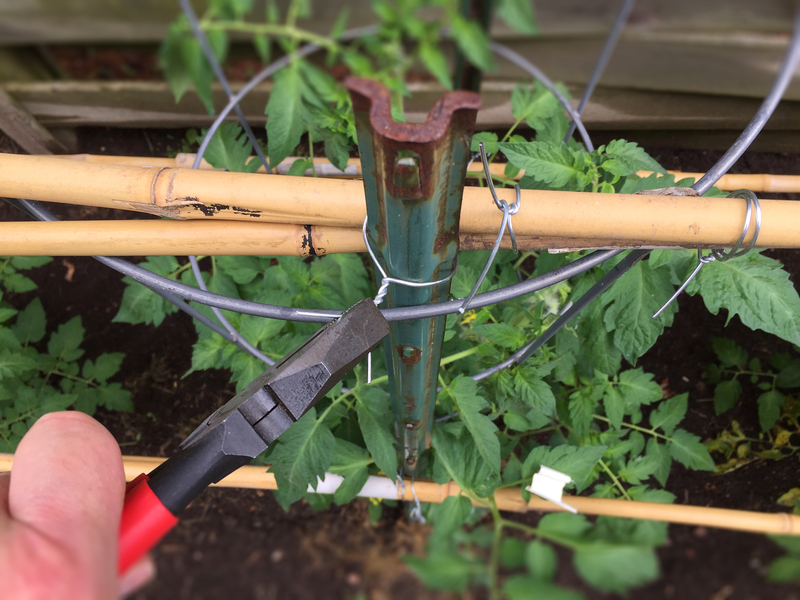 Staking Tomatoes: A closeup shot of the bamboo being secured to the metal fence post. 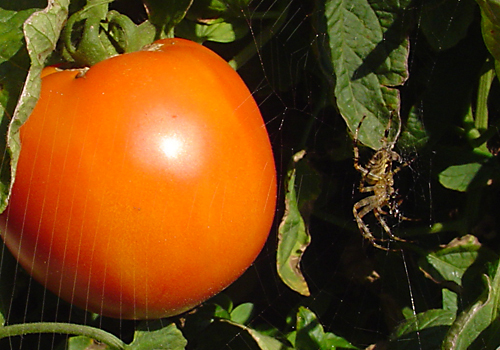 Note the heavy-duty tomato cage. They cost more but are much better than the flimsy cages, which cannot support the weight of a six to eight-foot plant. 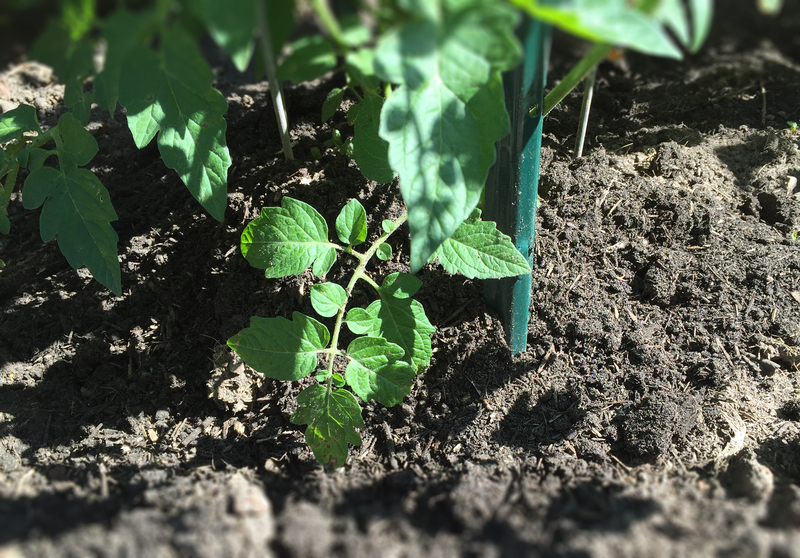 Mounding the base of tomato plants with about 6-8 inches of compost will help keep the roots cool during the hot months of July and August. Scatter grass clippings over the top. Your yield will increase dramatically. It is fun, educational and provides recipes for exceptional eating. I love the format.